Dill flowers join ferns in this botanical print. 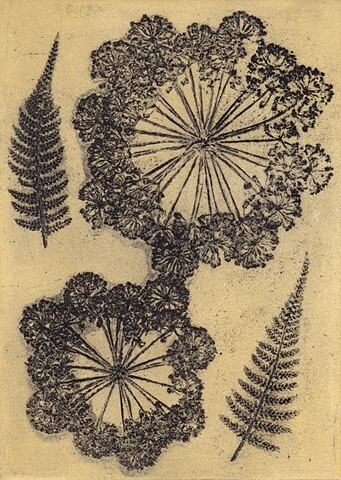 The plants themselves were used to prepare the etching plate. A series of prints were made with different background colors including this one in which the background is yellow ochre.